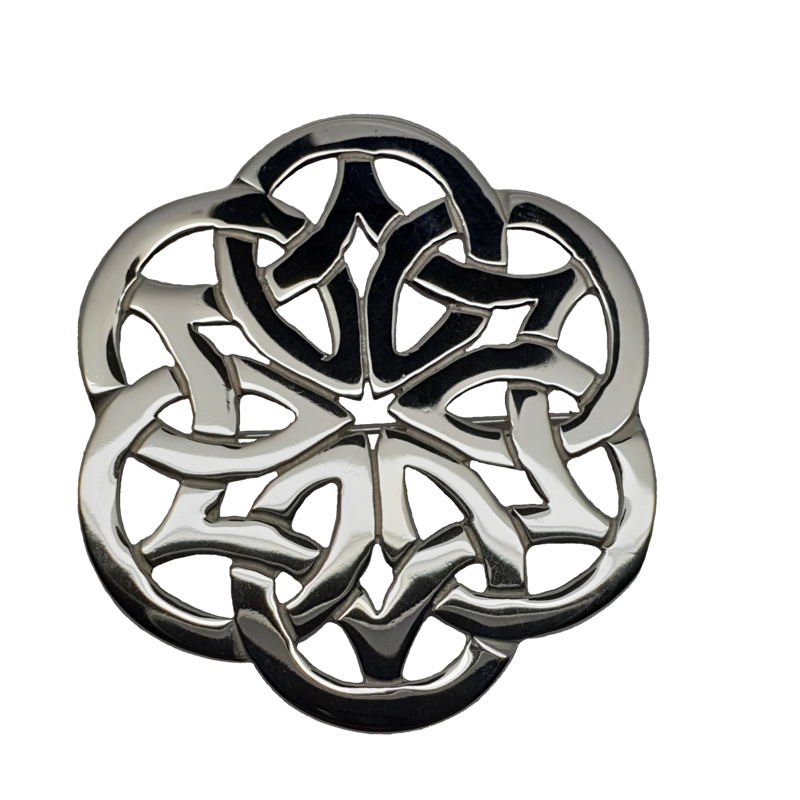 Our Sgiath brooch and necklace design was given its name due to its shield–like design, ‘sgiath’ meaning ‘shield’ in Gaelic. This heavy weight brooch design is made exclusively by Love from Skye on the Isle of Skye and measures 48mm in diameter. 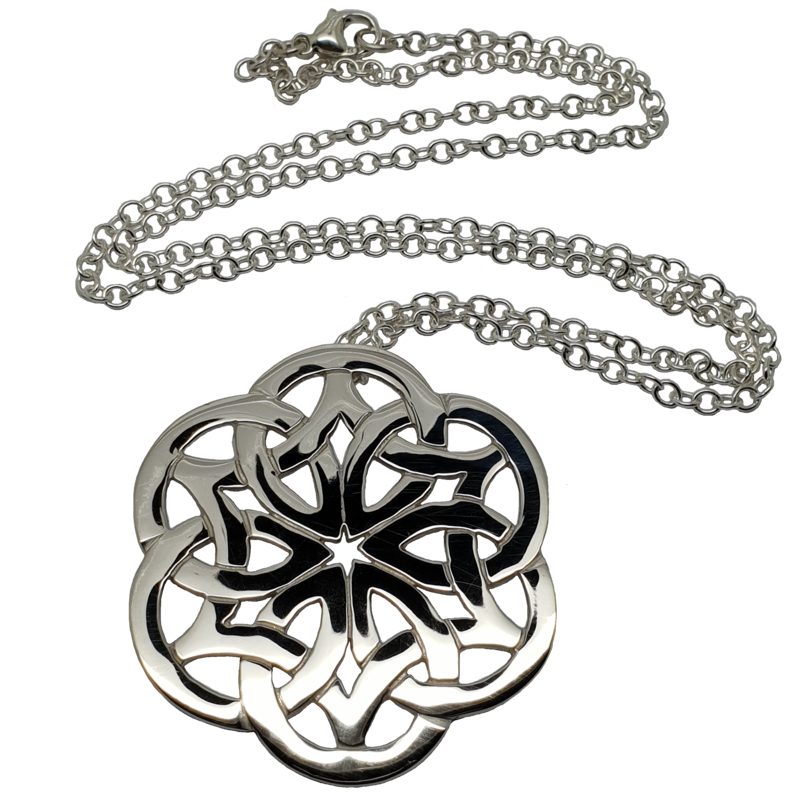 This design is made from Sterling silver. There are 3 options with this design. It can be purchased as a brooch or as a necklace with a 22-inch heavy trace chain or as a multi-purpose piece – with the chain as well as the brooch fitting. Please contact us if you require a different style or length of chain.